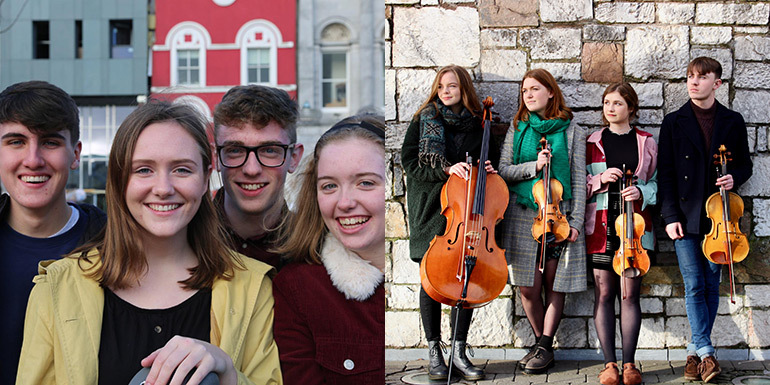 Their programme includes the first of Shostakovich’s fifteen string quartets, the premiere of a new quartet by Cork based composer Ian Wilson, and one of just three quartets that Brahms allowed to be published, having destroyed some twenty earlier attempts. Shostakovich’s heroic fifth symphony restored him to favour with the Soviet establishment in 1937 after he came under heavy criticism from Stalin for his opera Lady Macbeth of the Mtsensk District. Shostakovich wrote: ‘The whole year after completing Symphony No. 5, I did nothing. I merely wrote the Quartet, consisting of four small sections… It would be foolish to seek anything profound in it. I should call it the ‘Spring Quartet’. This is music of great charm and brilliance, its superb writing for the string quartet a sure portent of the fourteen extraordinary quartets that followed it. Proud, defiant, tender and life affirming, Brahms’ A minor quartet is the most popular and accessible of his three string quartets and one of the pinnacles of the string quartet repertoire. As he emerged with his own distinctive voice from the long shadow of Beethoven, he brought his own philosophy to his quartet writing: “A musician is no machine,” Brahms once told a musical friend, “he is a human being; he must always have something to say. Whoever has the dissonant note must also have its resolution.” To follow each player’s part within the extraordinarily detailed textures of this quartet is to discover that Brahms practised what he preached, and to understand why musicians so love to perform his chamber works.